I’ve been fairly stoked for Destiny for quite some time – but when Bungie announced it didn’t have plans to provide early-access copies to reviewers, my nerve faltered. I’d seen this kind of thing before, after all. Usually, a developer that doesn’t allow for early access knows there’s something terribly, terribly wrong with their game. Usually, they’re hoping no one will discover that problem until after the game’s already been released – until after the hype has hoodwinked thousands of consumers into buying it. I’m happy to report that – at least as far as Destiny is concerned – that definitely doesn’t appear to be the case. Bungie actually had a…pretty good reason for denying reviewers the chance to play a pre-release copy of the game. “Without a vibrant population for the last safe city on Earth and Guardians roaming the wild frontiers, destiny is only a shadow of what it should be,” explained community manager David Dague. to Venture Beat. “That’s not how we wanted to submit for review.” He added that he fully expects plenty of customers to wait for more comprehensive reviews to surface before making the decision to purchase the game – and that Bungie’s perfectly okay with that choice. “We’ve created something we’re proud of,” he beamed. And on the surface, Destiny is definitely something to be proud of. It’s one of the most ambitious projects Bungie has ever repeated, combining the tried-and-true gameplay that made Halo such a joy with a host of new features. Reviewers all over have been talking at length about the incredible mechanics, the incredible visuals, and the jaw-dropping soundtracks. They’ve talked about the clever map design, all the awesome activities players can participate in. At the same time, they’ve talked about the hollow story. They’ve complained about the relative lack of endgame content; they’ve lamented the repetition that seems built in to the game’s encounters. All of these are part and parcel for the world of MMOs; problems that have been with us since the first. It’s a shame that Destiny wasn’t able to rise among these issues – but does that mean it isn’t worth buying? Honestly? That depends on who you ask. 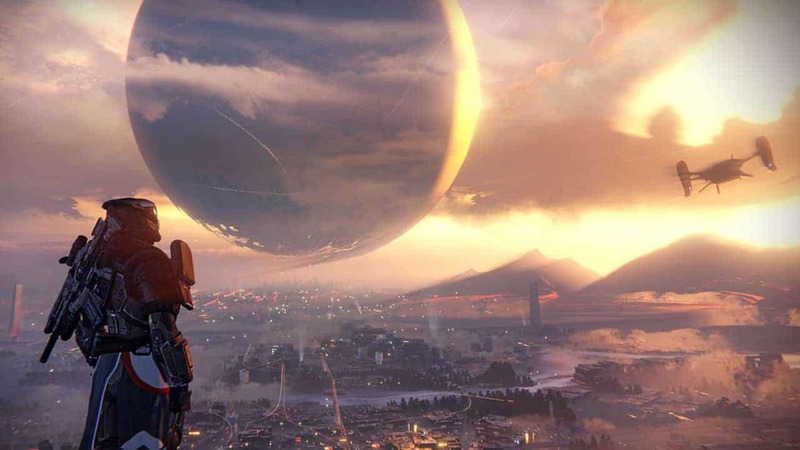 Destiny does a lot of things right, but it definitely isn’t a game for everyone. All I can say at this point is that you should give it a try – get your hands on a demo copy, play it at a friend’s house, go to a gaming cafe; however you can, try to experience it before you commit. Don’t trust the reviews on this one – even if it doesn’t live up to the hype, it could still be one of the best games you’ve ever played.